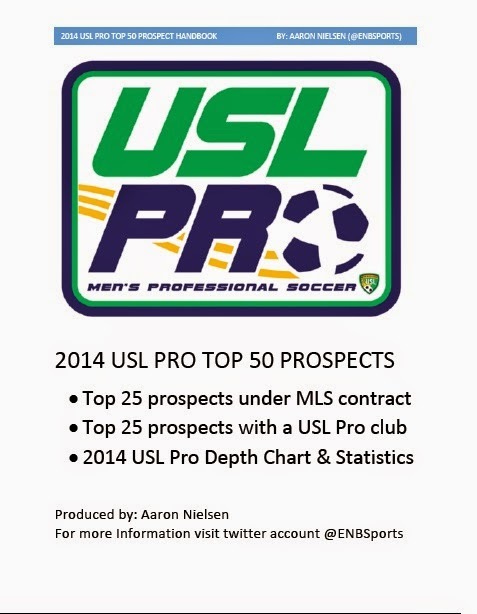 USL Pro Prospect Handbook with the top 25 prospects currently connected to an MLS club and the top 25 players who are not. I also included articles I wrote about USL Pro over the last year giving my opinions on the MLS/USL Pro alliance. Finally I added the final statistics and depth chart of all clubs during the 2014 Regular Season. The 2014 USL Pro Championship will be held on 09/27/2014 between Sacramento Republic and Harrisburg City Islanders and Kamal Hylton (@kamalhlyton) and I will be doing a Gaffer & Hooligan podcast special next week.